I grew up in communist Russia and even with the limited press resources then compared to too many now, photojournalism played a crucial part in the formation of my character. Yet after attending two recent exhibitions of the imminent British photographer Sir Don McCullin (he doesn’t like to be called war photographer, even though he recorded many wars for posterity & historian context, nor actively uses his title, bestowed upon him by Her Majesty The Queen), I feel acutely aware how something tremendously important for human character and evolution seems to be taking a back seat in the way that we seem to evolve as society. 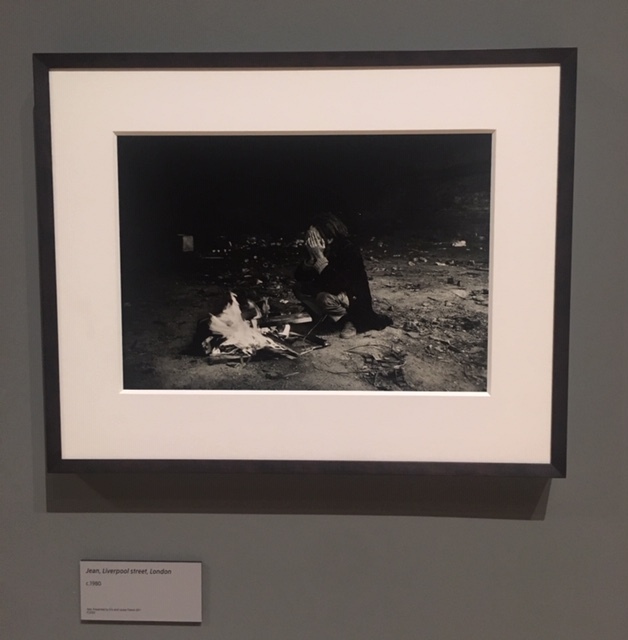 In late January Hamilton’s Gallery presented ‘Proximity’, celebrating Don McCullin’s achievements and decades of collaboration with the Mayfair gallery. 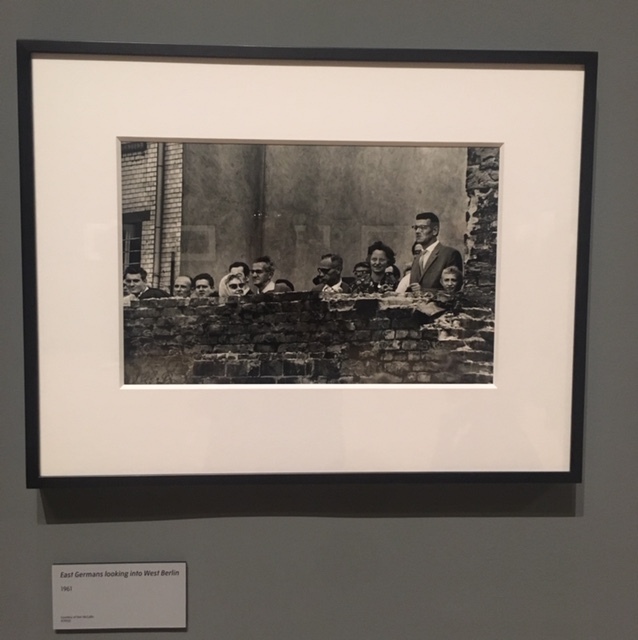 The exhibition that has been extended to run till May 11 due to its immense popularity, showcases rare and even unseen vintage prints dating back to the early days of Sir Don McCullin’s career. Selected from photographer’s personal archive, each print is distinct, personal and breathtaking in the details that take you on a historical journey of past events that took place when you possibly haven’t made your entrance into the world. You get to explore life in London in 1950s, as well as war frontline from Vietnam & Cyprus. 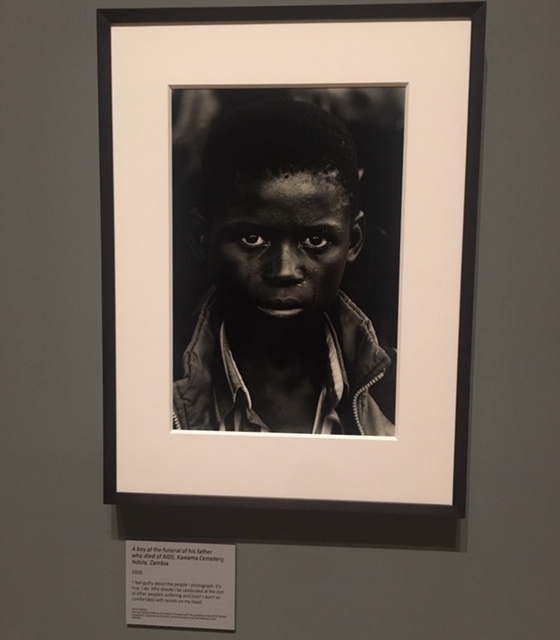 What makes this exhibition particularly poignant is that each image captures not just the moment in time, but human faces, emotions and gestures that aren’t so different to the emotional landscape of wars or living in poverty now. 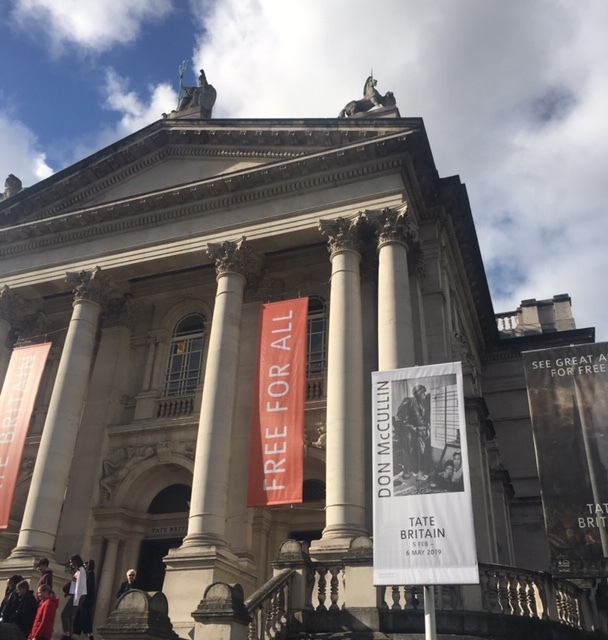 As I browsed the exhibition with a friend on the evening of the preview, Sir Don was talking to the eager crowd, each person wanting to share their impressions or appreciation of the impact of his work. Rod-straight, almost regal with his white hair and piercing eyes, serious & focussed, but with kindness and wisdom emanating from their depth, Sir Don seemed very approachable, something that isn’t at all the case with many people of his stature. A particularly endearing quality in the modern times of unsubstantiated and talentless celebrtieis, particularly considering the scale of his talent and achievements that he seems to take with a sense of humility, if not surprise. As I asked him to sign a copy of his autobiography, he pointed out one of his own photos to a young boy to whom he was talking and jokingly asked him, if he could recognise him. The boy shook his head, much to Sir Don’s amusement. 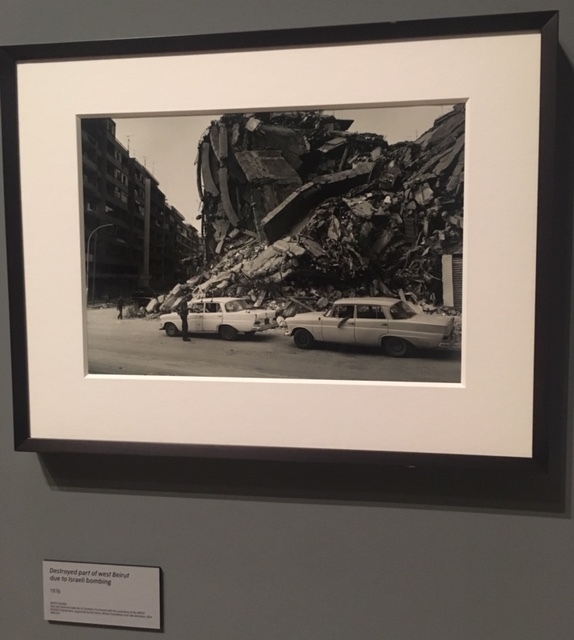 I left the exhibition deep in though, mesmerised by the sheer talent and intimacy of the exhibition that makes you both transfixed by the beauty of some of the images and deeply sad & unsettled when looking at the others. Two emotions walking hand in hand on the long road of life. 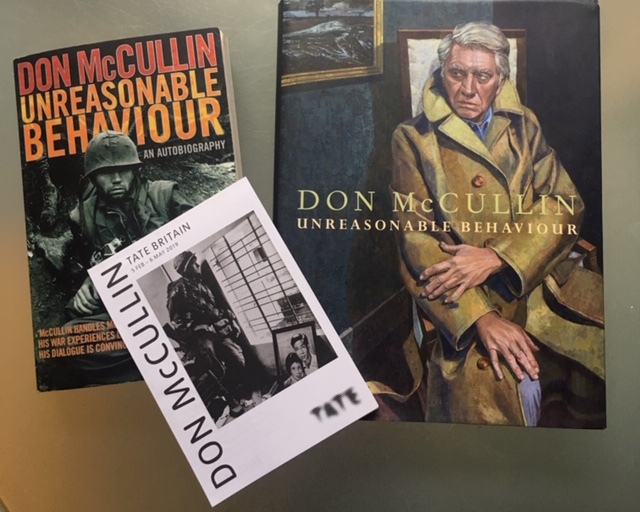 By the time I took my own children to see Sir Don McCullin retrospective at Tate Britain, showing an extraordinary body of his photographic work, I have finished his autobiography “Unreasonable Behaviour”. I now have two versions, an older paper version from 2002 – first edition was published in 1992 – and one from 2015 that has been updated and offers a glimpse of Sir Don’s life and career in its more mature stages as well. The book is both peaceful and painful, like the flow of the river – almost serene one moment, violent at the next turn – and I was even more moved by the personal journey and evolution that Sir Don undertook, as he travelled the world capturing the stories that are now part of our history, some of which certain people wish we forgot. Life hasn’t always been kind to him and many will relate to his choice of putting his work first and family second and the consequences that followed, painful and self-destructive. 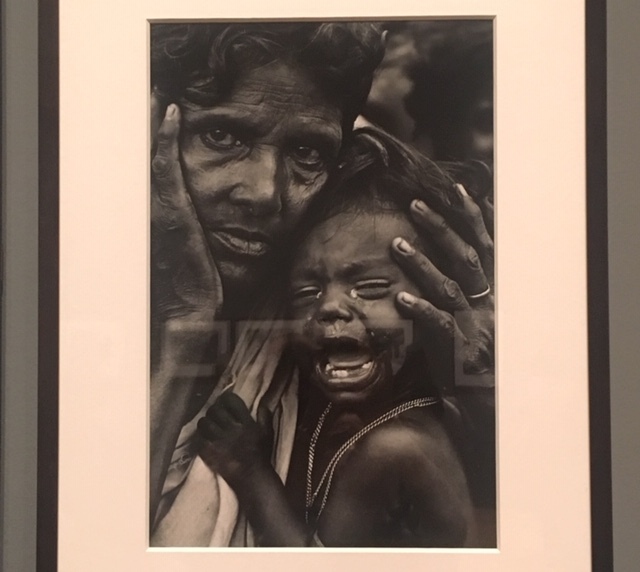 Age clearly softened him and allowed him not only to reflect on his past and mistakes that he made, but to also try to make amends where still possible – this is not something that photographing wars, conflicts, violence and poverty affords to every person who dares to. 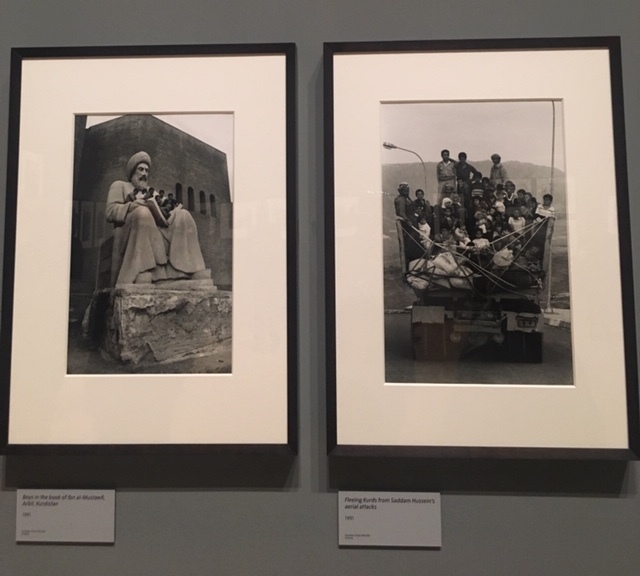 Since his photograph of ‘the Gu’vnors’ was chosen and printed in The Observer in 1959 and now, in his early 80s, Sir Don continues to work and travel, capturing images (always in black and white) both at home and abroad. 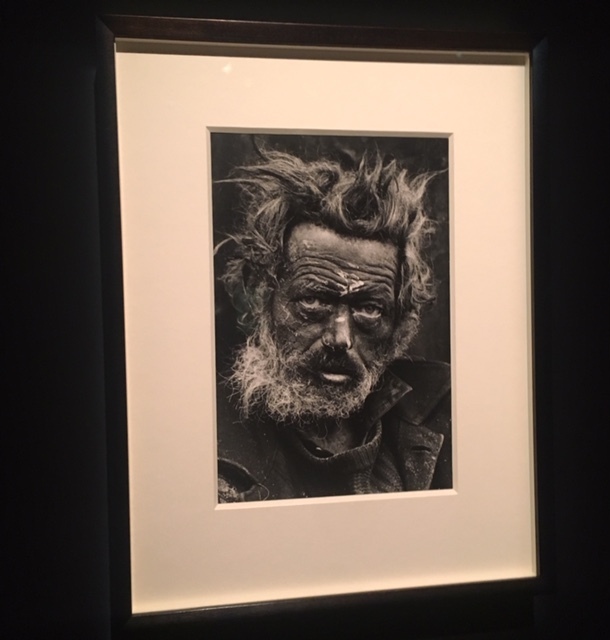 Seeing 11 vast rooms full of his powerful photographs, each accompanied by captions, thoughts and memories, you walk around lost in a daze of sorts. Contemplating past, present and future. 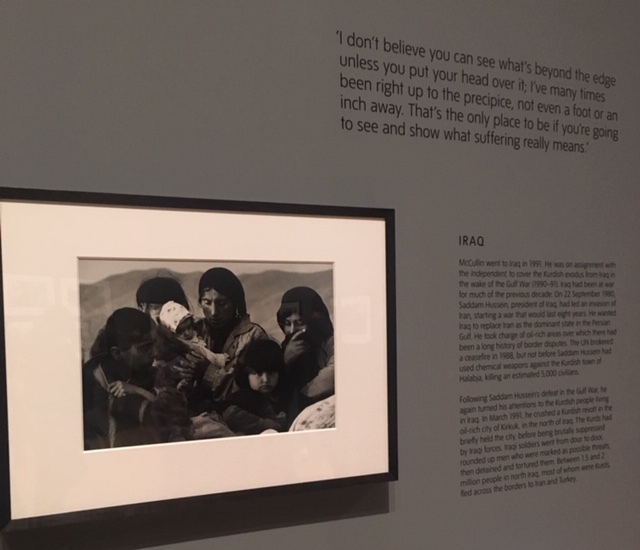 This exhibitions gives you a chance to explore sixty years of photography and world events, starting with the London neighbourhood, where McCullin was raised (his childhood wasn’t easy, nor privileged, and is a testament that life can go either way, depending on the circumstances and people that raise, mentor and surround you). 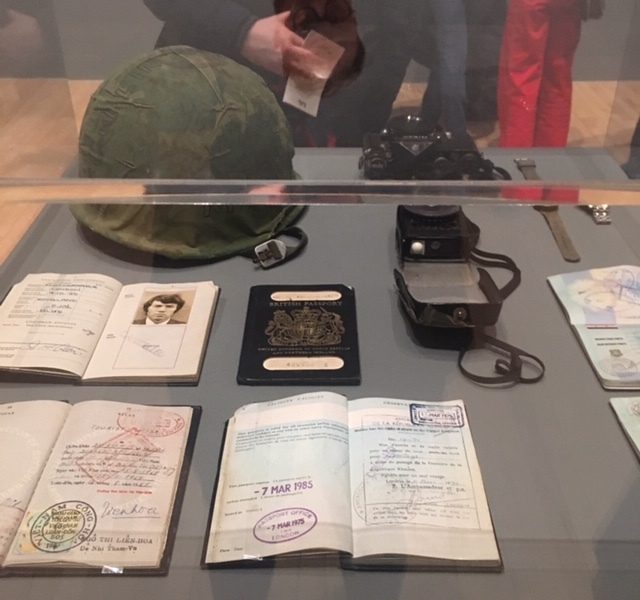 You move from London to Berlin, from conflicts in Biafra, Cyprus, Republic of Congo to the North of England and Northern Ireland, continuing to Cambodia, Vietnam and The East End. 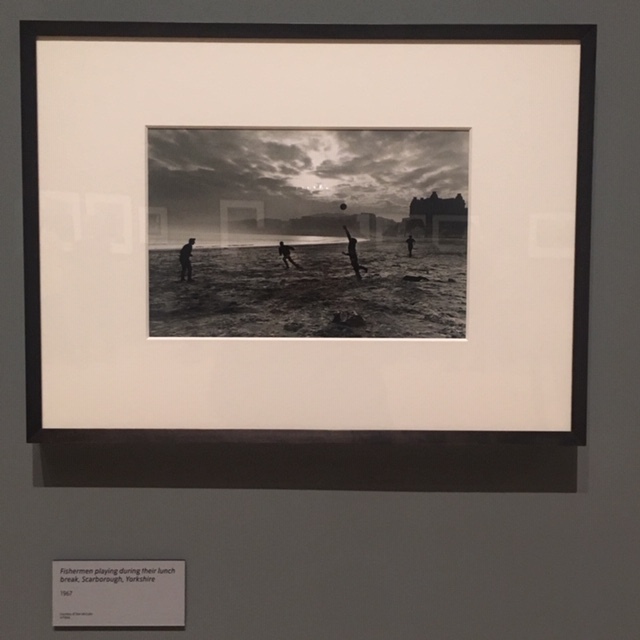 You get to see Bangladesh, Beirut and Iraq, as well as India and the Aids pandemic and finish with the Southern frontiers, Landscapes and Still Life through Don McCullin’s attentive eyes. Captured on camera by a man, who still feels passionate about the world and doesn’t give up on the strength and kindness of the human spirit. 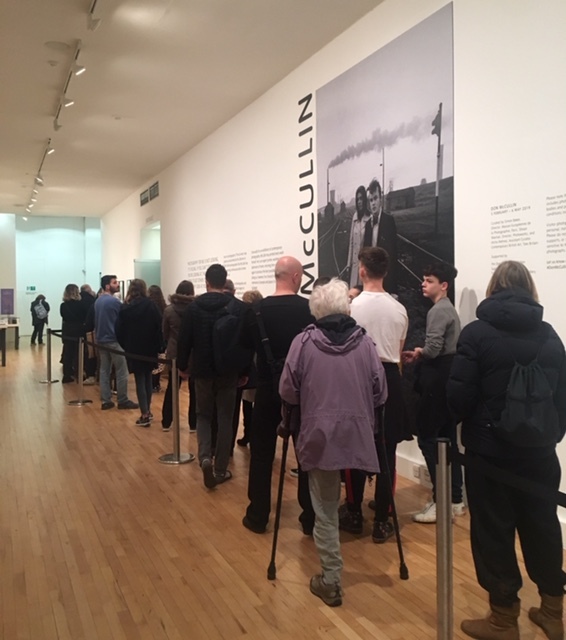 Even though this is a vast exhibition, McCullin has printed every photograph himself and was personally involved in selecting images and quotes, as well as helping put together a timeline of his work alongside exhibition curators. Some of his skills might seem dated to the modern generation, who are more used to instant clicks of their phone cameras. But consider that McCullin is not just a photographer, he is an expert printer, who still spends prolonged periods of time in the dark room at his home in Somerset (maybe less now, compared to previous years, but still…) and he also relieves the painful professional and personal episodes of his past, as he works with the prints. Some might call is therapy, others making peace with the past…. As we walked from room to room, my daughter became clearly distressed and at some stage asked me if she can just sit on the bench and wait for me. She is still little and in my eagerness to show my kids realities of life that I think are necessary to counteract the unicorn unrealness of Instagram & certain media chanels, I might have overestimated my own daughter’s emotional capacity (she very much enjoyed the last room with landscapes). My son, who is a few years older, asked if he could walk through the rooms by himself and I kept looking at the changes of the emotional landscape of his facial features, a sense of wonder replaced by questioning of the cause of human distress in front of him. While I have no desire to speed up my children’s maturity, I certainly don’t regret going to see that exhibition with them and highly recommend you take yours, because exhibitions like that are like priceless gems that we get to see possibly once in our own lifetime. What was also fascinating to observe on the day we visited, was how varied the crowd was in age, from new young mothers with babies in slings to really elderly people, who walked slowly and with a lot of effort, talking to each other in hushed tones and undercurrents of internal distress at what they were possibly relieving. The emotional cauldron was palpable and yet if offered some healing too, as people acknowledged, contemplated, learnt and questioned. 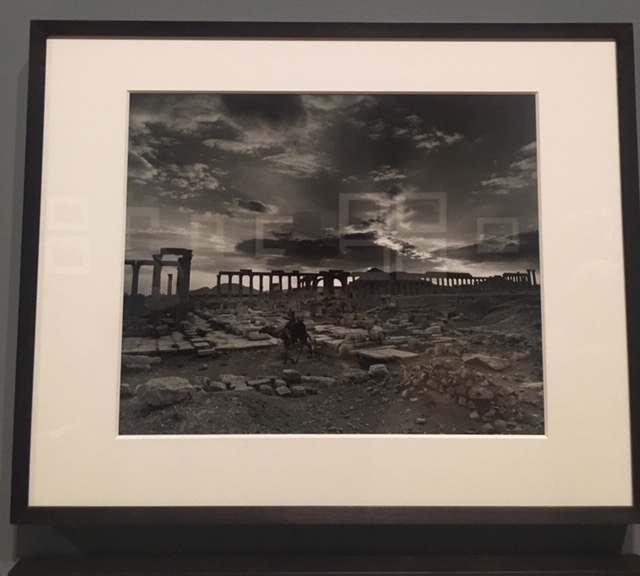 As we finished the exhibition together, we examined the exquisite beauty of Palmyra, of dramatic landscapes and exquisite details of nature captured close to Don McCullin’s home. Exhales came out somewhat easier, as the mood shifted, giving rise to hope that while all the wrongs in the world can’t be put right, each one of us can do something positive in order to make the world better. With a click of a camera, a kind heart, a desire to learn from the past in order to create a better future. So I urge you to go and see either or both exhibitions, on your own or in good company and see if your point of view about the state of the world shifts. We need to know our past and make peace with it. But we also need honesty, integrity and bravery to sometimes put one foot in front of another, moving from past via present into the future. Heartache & hope walking hand-in-hand. The exhibition at Tate Britain is undoubtedly one of the most powerful that I have ever visited, this time shared with my children who are the future and judging by their reaction, the strength of the connection between older & younger generation, thanks to the talent of one truly extraordinary man (who doesn’t think of himself in that way) is stronger than ever. And that gives me hope that even in current fraught times not all is lost!